It seems I was in fine company with Stein Eriksen, Norway’s legendary Olympic gold medal ski champion. Not only was I staying at the aptly named and suitably luxurious Stein Eriksen Lodge, but the man himself was still hands on as the grand fromage of Deer Valley’s skiing operation. So the pressure was well and truly on. Could the Stein Eriksen Lodge live up to the billing of its illustrious patron, or to use skiing parlance, did it all go downhill from there? The answer thankfully, was it not only did the great man justice, it was a gold medal winner in all categories. 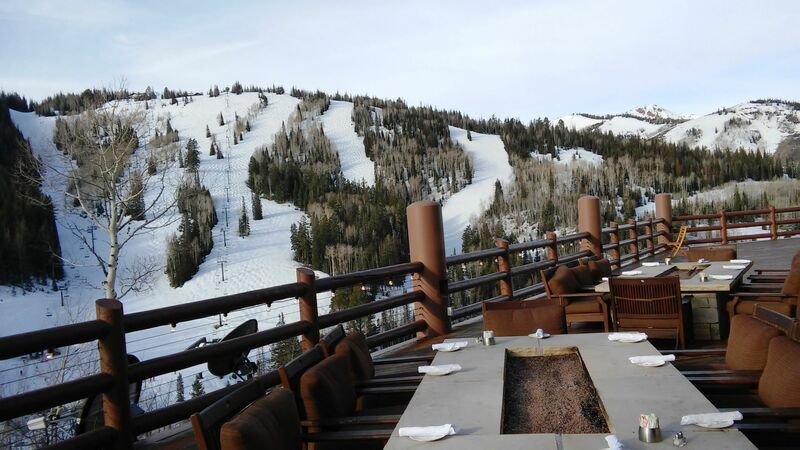 The Stein Eriksen Lodge, perched high up in the rarefied embrace of Deer Valley Utah, one of the most exclusive skiing resorts in the USA, is elegant old school mountain lodging. A rustic retreat of luxurious proportions that almost defied me to find something amiss. This is, in my view, how skiing should be for the smart set; direct ski in and out facilities to the Deer Valley resort, stunning views from just about everywhere, a state of the art spa, gym and pool area, an outstanding food offering from the energy fuelled breakfast buffet feast to the gourmet dining experience and spacious guestrooms filled with all manner of pampering and preening inventory. 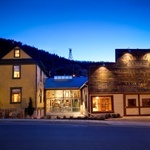 The lodge is just a few minutes by free guest shuttle from downtown Park City, a vibrant town of art galleries, restaurants, bars and boutiques and the social hub of the area’s nightlife. 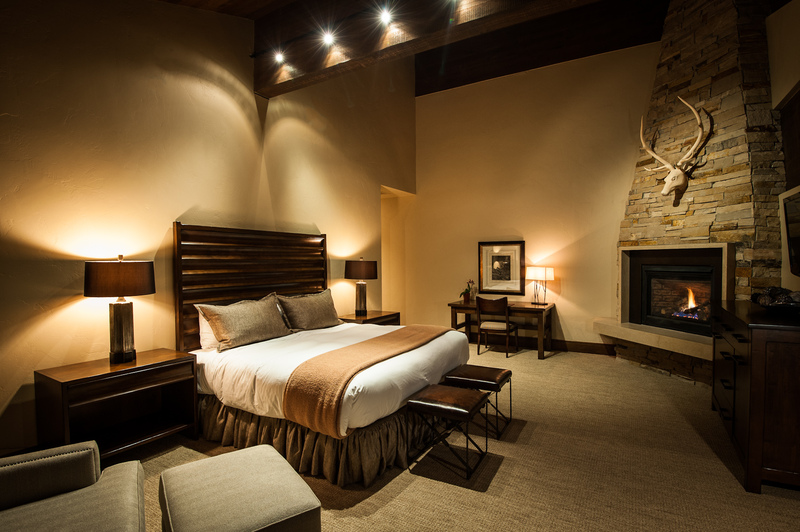 Ironically, Deer Valley was once the red light district during Park City’s mining heyday, a long way away from today’s veneer where the only red lights you’ll encounter are the embers of the logs burning in the gigantic fireplace adorning the reception. The public rooms are vintage rustic; huge deep leather couches, dark wood furnishings and deep pile carpets, but the spa is certainly world’s away from vintage. This is 23,000 square feet of wellness and therapy where your ying and your yang won’t fail to get balanced up; everything from Thai and Ashiatsu massages to salt stone and muscle therapy. My Stein Signature Massage was a wonder of project management by a therapist who brilliantly and expertly addressed my entire list of ailments in fifty minutes as well as demonstrating the tensile strength of every one of her steely fingers. And after? 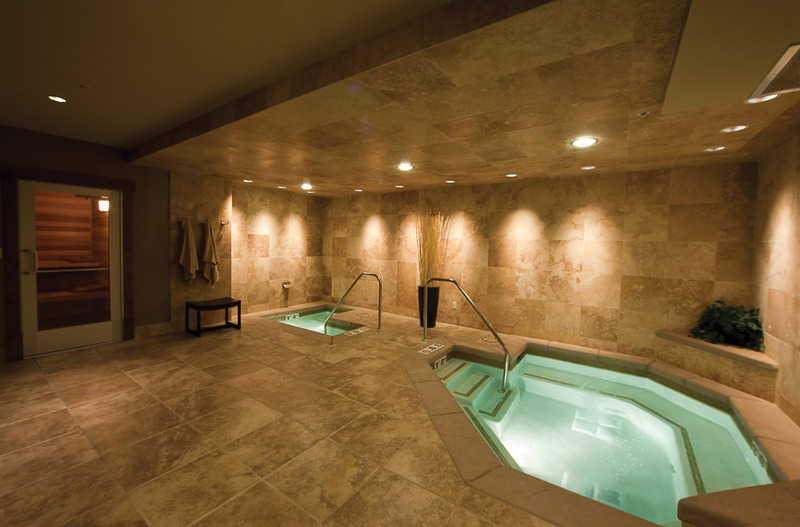 A myriad of choices; the steam room, the sauna, the hot tub, or my pick – a stretch out in the lounge with a herbal tea. But the quality of a luxury hotel is not judged by the public rooms alone but rather how at home and relaxed you feel in your own space. My room was very homely and very impressive. 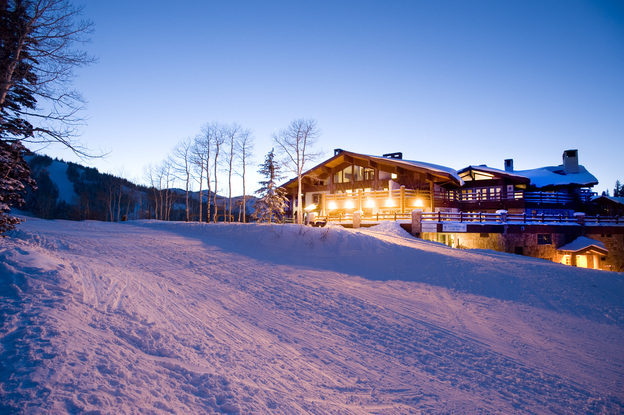 Facing Deer Valley’s dramatic slopes, the fun started with the huge balcony and private outdoor Jacuzzi and continued inside with a glazed stone gas fireplace and a bed the size of Europe. It had a very Nordic feel to it as you would expect with rich rustic beams and sturdy wooden furniture. The free bottles of Norwegian glacier water on the nightstands were a nice touch too. In the bathroom another jet bath, his and her marble sinks, soft fluffy robes and matching sets of Molton Brown toiletries. There was a walk in shower too, which impressively had a heater built into the ceiling so there was no danger of feeling chilly as you stepped out to your towel. 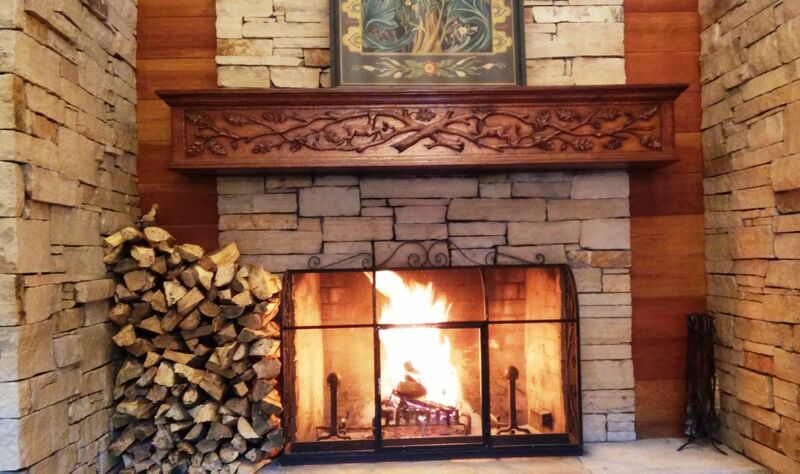 The Stein Eriksen Lodge is five star luxury, no question, but step outside the complex a hundred yards and the majestic mountain countryside embraces you. I spotted a lone moose walking amongst the trees lining the roadside, our bus driver stopping the shuttle so we could all take a moment. This is a mountain resort with benefits, the best being just a 40 minute transfer from Salt Lake City airport. In fact all of Park City’s resorts are close by; Canyons Resort and Park City Mountain Resort both now under new owners Vail Resorts and the winter Olympic Park complex where you can ride the 4 man bobsled run. And if you are more of a summer trekking person, they tell me the summers in this part of Utah live long in the memory, so you have year round choice in Deer Valley but whichever season you choose if you’re looking for luxury, the Stein Eriksen Lodge has the winner’s podium. 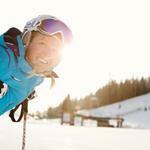 I want to stay at the Stein Eriksen Lodge how much is it? Stein Eriksen Lodge is just 40 minutes drive from Salt Lake City Airport. 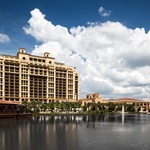 There are frequent transfers from the airport either by shared bus or private transport.